I could not contain my joy when I logged into Chictopia one day and seeing that I reached 195 likes. This was a huge milestone for me and has kept me motivated to continue my blog, especially since I recently received discouraging comments from some family members. 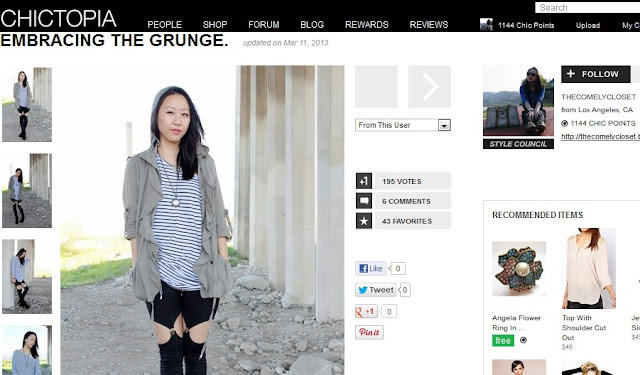 My goal is to be featured on Chictopia one day. I will continue to post on my blog with my personal style, and just hope that some viewers can find some inspiration from them.